Great Post Rhett ! thanks for sharing knowledge !!! Hi Vikram, I have only used the HttpUtility to HTMLEncode the password as I found when having characters like & in the password it would fail with Bad Request. I have found that WebUtility.HtmlEncode which is apart of System.Net works fine. Regards the Given key not found then it suggests the auth url is not found for you, this is the sts server. Inspect the return response and see if it is giving an error, you can view this in the code or by using Fiddler. Hi Rhett, Thank you for your help !!! Hi Vikram, I have updated the SPOAuthUtility class file as there was an issue in that O365 onmicrosoft accounts do not return a AuthUrl like federated ADFS accounts do when trying to retrieve the sts server address. This means the dynamic object will not be needed for your scenario so I added a simple check to make sure the json string contains the AuthURL value before serializing the string to dynamic. This should work for you now, just download the updated zip file. Wonderful, thank you so much Rhett ! It’s working now in console application. Most definitely, I am providing a console main class to demonstrate its use but the exact same code works within a sandbox plugin. This was the main aim of this solution. Hi Rhett, We are getting above #2 errror while using same code inside sandbox pluign. Have you tried to use same code inside sandbox plugin ? Have you tried using the latest code sample I have uploaded, I have tested this using AD sync and onmicrosoft accounts. Great example Rhett! Saved me a lot ot time. Could you help me find the proper way to sent Update, Create and Delete POSTs via this code example? Assembly ‘System.Web.Extensions, Version=4.0.0.0, Culture=neutral, PublicKeyToken=31bf3856ad364e35’ is a conditionally APTCA assembly which is not enabled in the current AppDomain. To enable this assembly to be used by partial trust or security transparent code, please add assembly name ‘System.Web.Extensions, public key = xxxxx to the PartialTrustVisibleAssemblies list when creating the AppDomain. Any idea why it failing for CRM online? Any help will be really appreciated. Hello, replace HtmlUtility.HtmlEncode with WebUtility.HtmlEncode as this function is allowed with partial trust. Thanks for your kind reply. Your latest code already has WebUtility.HtmlEncode and that’s the code I used earlier. Do you need any other assemblies for the build? I mean using ILMerge. Please let me know. Have a good day. If you create a quick console app including the auth classes and debug it as partial trust you should find what is blocking you. Thanks a l lot for getting back to me. I did tried in a console application with partial trust and I got the following error. This assembly is marked as conditionally APTCA (allow partially trusted callers attribute), which means that code running in the Sandbox won’t be able to call into it without product changes to CRM. Without this change, there isn’t a supported workaround that I am aware of. If you have any other thoughts please share it. Try removing the System.Web.Extensions reference from the project and then test it. It should require it. If you have time you could just remove the reference and handle the response without it. It is used only once I think. Otherwise I will try to get this updated soon. I will try it and let you know. Meantime if you get time please update the solution. Thanks a lot for your quick response 🙂 Have a good weekend. Tried the Newtonsoft and the console app works fine but CRM complains about Newtonsoft component missing error. Looks like I need to use ILMerge which probably not a supported way for Microsoft. I will let you know how this goes. Is any other way you could think about avoiding ILMerge? You can ilmerge newtonsoft dll with the plugin, it works fine. Tried the ILMerge and when the plugin runs I am getting System.TypeLoadException error. That’s great Aravind, thanks for sharing. When I used that I didn’t like that some objects had d as the parent object so I found it inconsistent when trying to make a generic style function. But it works well if you code for specific scenarios as you have done with your example. I too had the same issues when trying to deploy the plugin in sandbox mode. Removing references of System.Web fixed those issues. Can someone please tell what changes are required in the ContextInfo class ? However, can you please let me know how to retrieve GetContextWebInformation from the d property ? 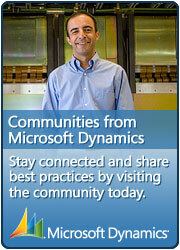 Pingback: Dynamics CRM Chat – Staying on top of CRM 2013 Certification! Hi Rhett, I’m trying to POST to create a folder in a list – but I get a 403 Forbidden. I’m new to SharePoint dev so I’m not sure if I just have to set a permission somewhere? I’m using an O365 E3 trial , and your console app example. The username and password I’m using are of the O365 administrator. There exists a folder structure “Request/2014” and I can GET information about this folder… It’s the /Folders/add that is failing. thank you so much for sharing this. I used your code in combination with Aravind suggestion for serialization. It works perfectly in sandbox mode so far. Can I ask you which cookies you are talking about when you say “Once you get authenticated and obtain the cookies you are free to fire REST calls off by simply providing the cookies along with the request.” ? I am using Java to authenticate against our ADFS server using SOAP. I only get 1 cookie back, ReqClientId. However, when I do a normal browser login to Dynamics I am seeing 4 cookies: MSISAuth, MSISAuth1 ReqClientId and MSISSignOut. Anyway, when I try to call the oData REST endpoint, passing along the ReqClientId cookie, I get the login page, meaning I am not authenticated. I was just curious if you could tell me what cookies *you* are getting back. I’m trying to ge this work on CRM 2015 Online but get an error from the SharePointMethods constructor. It’s calling GetCookieContainer method, which calls GetSPOAuthCookies, and that is where the error is thrown. It says “The remote server returned an error: (411) Length Required”. Thanks a lot for all your work and especially for sharing it. There is very little documentation online regarding this topic and your post helped me a lot. Great Article thank you for sharing it. I wanted to know what if you were trying to do the same stuff from CRM on-prem to SharePoint on-prem would this still work? Also the reason for doing this is wanted to create such a utility using SharePoint REST calls and call them from CRM (on-prem) and Later on when we move to CRM online just port the same plug-in model to CRM online plugin without chaning the SharePoint code. Since only thing changing would be SP-on prem to SharePoint Online (SPO). Can this code work for both on-prem SharePoint and SPO (i.e. the REST calls, authentication would differ)? I am working on a Dynamics CRM online workflow. I wish to update the sharepoint folders attributes in the code. The Sharepoint online is in the same tenant. Can I still use this way to manage the folder items in sharepoint from a CRM workflow? Yes, I have in the past used this to create sharepoint folders from a sandbox plugin. Wonderful post and I can’t tell you how much this has helped me. With your code, I was successfully able to create a folder and file in sharepoint from CRM Online. However I am stuck at one point. I need to assign permissions to users to a folder in sharepoint using the REST based stuff. I am completely struck on this as I dont know how to form a valid query for this. Your expert help is much appreciated. I am trying to do the same like you (create folders/files), but i get a 400 invalid request. Do you have any help for me or could you share your code? I am currently trying to use your code in my CRM Online Plugin on create of Account to access a SharePoint Online site within the same Office365 suite but get an error on this.adfsAuthUrl = GetAdfsAuthUrl() in the GetMsoStsSAMLToken in the SPOAuthUtility class. The error is sadly not very informational because it only says: System.Security.SecurityException: Error in the request. Is there anything that pops into your mind what could cause this problem? Would you, per chance, know how to implement ‘act-on-behalf’ impersonation? My code will originate from a Dynamics 365 plug-in, where I want the file, which my plug-in code uploads to SharePoint, to be owned by the plug-in’s user context. Thank you so much for this post and the code.